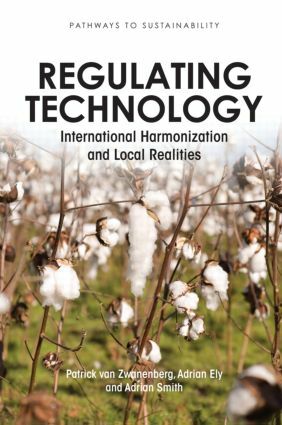 Examining the regulation of technologies, this book explores how the drive to harmonize regulatory policies across the world is at odds with the increasingly diverse local settings in which they are implemented. The authors use a 'framings' approach that starts with the concerns and experiences of technology users and works 'upwards' in order to examine how best to improve regulation. The book centres around two in-depth case study topics: regulation of transgenic cotton seed and regulation of antibiotics, compared across situations in China and Argentina. The authors examine how high-level initiatives in regulatory harmonization and regulatory capacity building compare with national policies, day-to-day enforcement realities on the ground, and with the way poorer users experience these technologies. Through these studies the authors offer ways to rethink regulation in order to realign the power and politics at play and create more effective regulation for technology users around the world. Published in association with the Economic and Social Research Council (ESRC). This book series addresses core challenges around linking science and technology and environmental sustainability with poverty reduction and social justice. It is based on the work of the Social, Technological and Environmental Pathways to Sustainability (STEPS) Centre, a major investment of the UK Economic and Social Research Council (ESRC). The STEPS Centre brings together researchers at the Institute of Development Studies (IDS) and SPRU (Science and Technology Policy Research) at the University of Sussex with a set of partner institutions in Africa, Asia and Latin America.